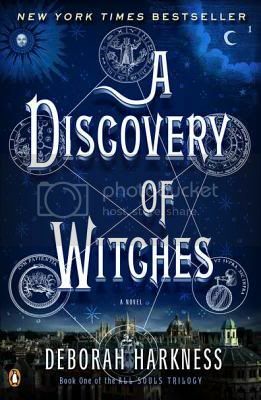 A Discovery of Witches, a book I really enjoyed, is now in paperback. I have one copy to give away to a reader with a US or Canadian mailing address. Just fill out the form below by 11:59 pm central on Sunday, January 8. Thanks for the chance! I took this out from my library earlier this year and then had to return it as I di not get to it fast enough. I am still hoping to read it Happy New Year! Thanks for the giveaway! I loved this book – but I listened to the audiobook and now I really REALLY want to actually read it. This feels like it has been on my ‘to read’ list forever but I never seem to get around to it. Thanks for the chance to win a copy! Love this book…hoping for lots of sequels! I have seen this reviewed everywhere and it sounds great. Would love to enter for a chance to win.